So we say we will get you a weekly update but instead there is no weekly update. Over the last weekend, Lachsen and Intero were visiting the Devmania in Mainz. The meeting featured an overnight contest and the two joined the contest to test out our engine and how fast we can do cool stuff with it. We also got help from Richard Wepner (he is also the one who told us about Devmania). The theme of the contest was very simple: “Look at the front page of a local news magazine, take any key word and make an original game out of it“. Some of the games ended up really cool (There is no official list of all the games, but if we get one, we will share it!) and although we didn’t win, we think our game is pretty cool nonetheless. So why not share it with you folks, right? We don’t want to talk much about the game itself because it is kinda self-explanatory. The basic gameplay is actually similar to CrossCode. You run around and throw lots of… well not balls this time, but corks. Yes. corks. Oh and you can speedrun it! But enough talk! Have at you! Go play our new game now (click on the image or the Link)! Hover of the Highscore/Controls panel to see their content! Make sure to share the game with your friends and tell the world about it! Please consider that this is an over-night project (together with the post-contest changes the work times was around 1.5 days) so it might contain some bugs or does not have the highly polished levels/graphics you normally see from us. So have fun playing! Until next time! We did not forget CrossCode. We have some nice updates but a whole game is a lot for a day. So we will post the updates tomorrow. This article was posted in Other Stuff, SideProjects. Bookmark the permalink. But wait, seems like I was the first one who played it :D Yay, I feel special! Wait, no not THAT special! But it was overall fun and I’ll forgive you about that, cause it was just a one and a half days job. Ah, concentrate on CrossCode, it’s far more important anyway! Does this game not work on Google Chrome? After the starting text shows up and goes away nothing happens. btw I’ve never commented on anything yet but I have been watching this project since around January or February simply because it’s the kind of stuff i want to work on eventually. It could be that the sound takes a while to load. We are using WebAudio which comes with a long loading time (we can’t simply stream the music file) and we didn’t implement a proper loading icon. We had some servers slowdown so you might give it another try and wait a bit, until music file is fully loaded. Hey , I’m following too the Projects here. 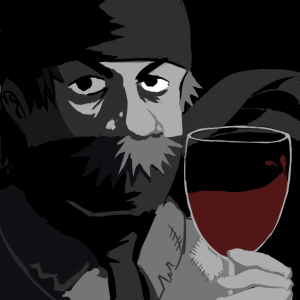 I have a question the game Ninja Hobo Connoisseur. Doesn’t start at all on my Chromebook. Can it be that its not compatible? The game does not load after selecting the language, and this problem occurred on both my computers.